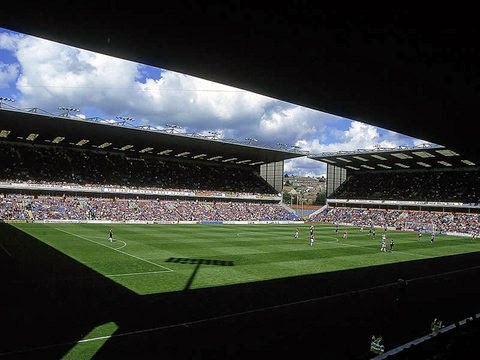 I am nothing but a mere man: Burnley, top of the league? I had always flirted with football at a young age but didn't really support a particular team. I had been to a few Burnley games with family but my dad was a Liverpool fan and Man United were the team of the moment. But it was James Mcdonough who swayed me to be a true claret. Since I have known him he has always been Burnley mad and by year 8 at school we had a season ticket together with some of our other friends and started following Burnley home and away. Stan Ternent was in charge and we finished second in the old division 2 as it was then. We were many people's favourites to come straight back down after that but we finished agonisingly close to the playoffs twice, something even a last minute Paul Gascoigne free kick couldn't help us with. I can't even remember where we finished the seasons that followed but it was somewhere in mid table, still I was sad when Stan Ternent left the club. He was the only manger I had known being in charge of the club and his last game was an emotional one for me. Steve Cotterill followed and quite frankly to be honest we were lucky to stay in the Championship while he was in charge with some of the results including a 19 game winless streak in 2006/2007. By 2008/2009 Owen Coyle was in charge and led us to the promised land of the Premier League, many people argued that our demise back to the Championship was the result of him leaving to our local rivals Bolton. Since our relegation we have been mediocre to say the least but this season we have had the best start ever to a season in history. Yesterday we won 2 nil at home to the much fancied for promotion QPR with players in their side probably on double or triple the wage of our players. What I was impressed with and have been impressed with this season is the belief and confidence our players have against any team. For towns like Burnley, when the football team does well it lifts the whole town. If you have ever been to Burnley, you would understand the key part the club plays. Take a look around and there is not much there and for many people the only thing they believe in is the club. Pundits always seem to be amazed when our club does well, we are far from financially comfortable and have one of the lowest wage expenditures in the league. Just like the town our club is in, it has one of the lowest average wages in the country and some government advisors in a recent report have even said it should just be forgotten. Well our little football team is making sure that doesn't happen. We have the squad, manager and belief to carry on playing well and keep making our little town happy. Dare we dream of the promised land once more? YES WE DO!! !